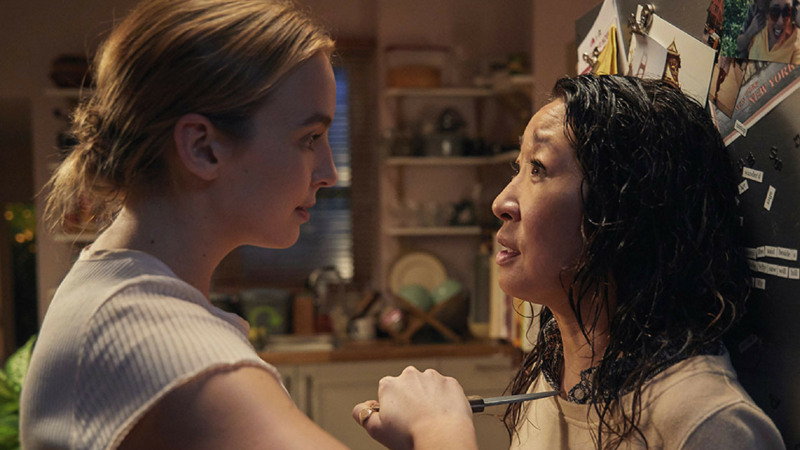 Split Screens will sit down with Golden Globe® and SAG®-winning actress Sandra Oh, who now stars in the critically-acclaimed BBC AMERICA drama Killing Eve, which follows Oh as Eve, a bored, whip-smart, pay-grade MI5 security officer whose life changes when she’s tasked with hunting down a psychopathic assassin. Oh’s expansive career is full of widely-praised performances, including this year’s “delicious, instantly addictive” Killing Eve, which have consistently impressed across film, theatre and television. She received extensive critical acclaim for her outstanding performance on Grey’s Anatomy, for which she received a Golden Globe®, two SAG® awards and five Primetime Emmy® Award nominations. Other notable television roles include American Crime and HBO’s Arli$$. Oh’s award-winning performances in film include Sideways, Last Night and Double Happiness, and most recently she starred in the films Catfight and Window Horses. Fri Apr 26: Be Natural: The Untold Story of Alice Guy-Blaché Q&A w/ dir. Pamela B. Green at 7:05! Tue Apr 30: Chasing The Thunder Q&A w/ dirs. Mark Benjamin & Marc Levin, prod. Katie Carpenter, & Sea Shepherd Peter Hammarstedt at 7:30! Thu May 2: Foster Q&A w/ filmmakers Mark Jonathan Harris & Deborah Oppenheimer at 7:30! Tue May 7: 16 Shots Q&A w/ dir. Rick Rowley at 7:30!